Can traditional forces maintain peace in this contested border region? Abyei, Sudan—The week-long referendum on southern independence in Sudan has ended. The southern government is confident that turnout reached the 60 percent threshold needed to make the vote viable, and the Carter Center has issued a statement saying that the referendum was credible. Reports indicate that the vote will overwhelmingly be for secession. But all is not settled, as diplomatic attention turns toward another disputed part of Sudan: the border area of Abyei. It’s unclear whether traditional forces will be able to maintain peace in Abyei, as they have for years—and what sustained violence might mean for the future of the region. The people of Abyei, an area of roughly 4,000 square miles that sits between northern and southern Sudan, were promised their own referendum in the broad 2005 peace agreement, to decide which half of Sudan they want to be a part of. But the northern and southern governments have never been able to agree on who should be allowed to vote: only the ethnic Ngok Dinka, who live in the region year-round, or also the Misseriya, a group of northern nomads who come to Abyei to let their cattle graze during the dry season, and whose ballots just might sway the vote in favor of putting the region permanently under Khartoum’s control. So the referendum, which should have happened simultaneously with the one last week, never materialized—and Abyei now stands in a state of dangerous limbo. “We are like people on an island,” says Ngok Dinka elder Gabriel Dau, who worries that uncertainty over whether Abyei belongs to north or the south will escalate tensions between his people and the Misseriya, who are in the middle of their annual migration right now. Each year, clashes erupt between the two groups during the migration, often resulting in the loss of lives. 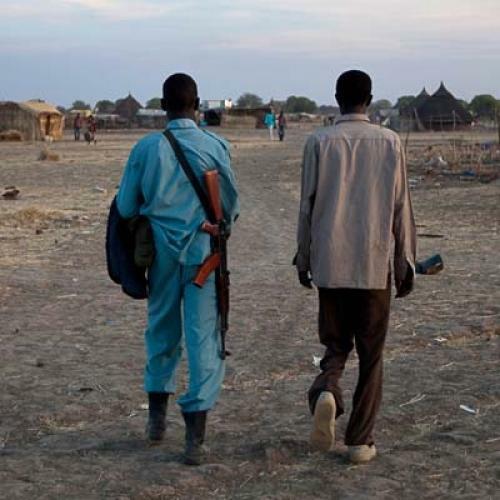 Typically, the rival groups hold an annual peace conference to deal with these clashes, but the most recent was delayed as a result of the political disputes surrounding the referendum and Abyei’s future. Following consecutive days of violence between Ngok Dinka and Misseriya at the start of the southern vote last week, government and international officials pushed the groups to finally hold their conference. An agreement was announced soon after, which calls for better regulation of the Misseriya migration and compensation for victims of the violence in 2010—though not for those of the more recent fighting. While a welcome development, the agreement did not address the controversial referendum, and it is unclear how long the fragile peace will hold. The new agreement requires that the Misseriya follow only certain routes when moving south, to avoid key population areas but still reach the land and water their cattle need, and they may only do so once they have paid compensation (41 cows) for each person killed during last year’s migration. The blood money has to be paid within 15 days for the migration to proceed. But the agreement was not without dissent: Four of the nine Ngok Dinka chiefs refused to attend the meeting, which took place in the Misseriya stronghold of Kadugli. “If the Misserya kill your people one day, then why do you sit and meet with them the next?” asks Ngok Dinka chief Nyol Fagot Deng. He says the agreement does not have the support of many in Abyei, and, when asked what his people would do if the Misseriya continue to try to migrate into the region, he raises his hand to indicate a stop sign. Indeed, even if the Misseriya pay the compensation, this may not be enough to stop the Ngok Dinka from disrupting further migration. Many of the Ngok Dinka are well-armed and see the nomads as the biggest sticking point standing between them and a brighter future for Abyei.